Many textiles that you purchase come pretreated with fabric and fiber protection, but abrasion from regular usage and vacuuming eventually wears this protection away. 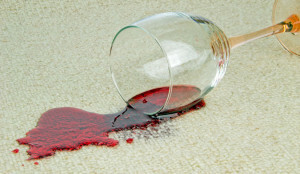 Improper cleaning solutions or cleaning methods may also accelerate this process. To extend the life of your fine surfaces, Santa Fe Floor Care can reapply high-quality, professional-grade fabric and fiber protectors. Your freshly cleaned carpets and upholstery, armed with the highest level of protection available, will be more resistant to soils and stains. Our fabric and fiber protection treatment will not change the look or feel of your carpets and upholstery, but it will make your regular vacuuming and spot cleaning more productive. Contact us today to discuss your fabric and fiber protection needs.